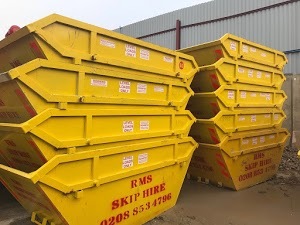 RMS Skip Hire is one of the most trusted providers of skip hire services and end-to-end waste management solutions in Woolwich. Our team is committed to offering timely skip hire solutions to meet the needs of each client. What distinguishes us from others is our ability to take prompt decisions and provide services par excellence. We aspire to provide highly affordable skip hire and waste management solutions for residential, commercial and industrial projects. Our primary goal is to go a step further to exceed your expectations. Our competent team endeavors to offer both the same day and next day skip hire solutions. We believe that fulfilling your waste management needs is our responsibility; therefore, if you don’t have sufficient space to place skips on your land or job site, you can rely on us for skip hire permits. Once you have the skip hire permit, you can position your skips on the road without having a fear to pay fine. Our unwavering commitment to protect the environment from pollution forces us to offer eco-friendly skip hire solutions to meet your waste disposal needs. Our waste management professionals segregate all the recyclable items from your waste and transport them to a recycling facility. This approach embraced by our team not only help in utilising the rubbish but also reduces the burden on landfills. And if you need any assistance during the skip hire process, our team is always there to help you.